Drugs, by their very nature, are harmful to the human body. A substance isn’t a drug in the first place unless it is essentially a poison that can harm your body and mind. We sometimes overlook the fact that this is what a drug actually is due to the fact that drugs are so common in our society. Not only are dangerous drugs like cocaine and heroin common on the black market, we also have legal (but dangerous) drugs such as marijuana increasingly being legalized. Some of the potentially most dangerous drugs are also the ones that we don’t even think of as drugs in the first place. For example, most Americans don’t think twice at having the occasional glass of wine or bottle of beer, but both of these alcoholic drinks contribute to more deaths in America than any other drug. We also overlook the effects of caffeine, even though it is present in thousands of different products and can actually be very harmful to the human body. Caffeine occurs naturally in many different plants, but one of the most common is coffee beans. Americans drink coffee to wake up in the morning or to get an extra jolt of energy, and it is the drug effects of caffeine that are actually causing drinkers to feel that way. When you only have the occasional cup of coffee, your body won’t be affected that badly by caffeine. When you start having too much, however, the negative effects can start to build up. For example, the drug can wear very heavily on your body’s adrenal glands. Drinking coffee actually causes your body to produce adrenaline, the famous “fight or flight” hormone. In other words, when you drink coffee you are tricking your body into getting alert the way it would if you were in danger. The problem with tricking your body this way too often is that you can start to “burn out” that process. When your body and mind actually need to be alert, it can be hard for them to do so without caffeine. When someone is addicted to coffee, he actually needs the drug in order to function at normal levels of alertness. While the danger of drinking caffeine in your coffee (or in other products such as energy drinks) is still minor, a new form of the drug is cause for much more concern. Chemists have developed a way to put caffeine into a pure powdered form. Powdered caffeine is so powerful that even a single teaspoon can kill you. Despite this, young people are buying it off the internet and are trying to snort it like cocaine. Teenagers aren’t always extremely bright when the decide to start experimenting with drugs to get high. They can see that powdered caffeine seems like it’s similar to cocaine or any other powdered drug, and it’s a stimulant, right? They have heard of people snorting powders to get high, so why not try snorting caffeine? 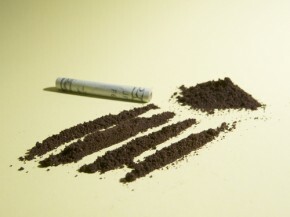 While it’s not smart to snort any drug, caffeine is especially dangerous due to the very small amount that can kill you. While cocaine and other snorted drugs are still dangerous killers, even they won’t usually kill you after snorting them only once. Parents have enough on their plates to worry about already, but they do now need to be aware of this latest drug abuse trend. If parents aren’t aware that this is a new way that teens are trying to get high, they might not get as suspicious as they should when they see that their child has ordered a pack of caffeine off of the internet.